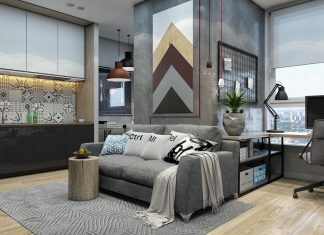 Roohome.com – If you are looking for a suitable design to be applied in your kitchen, well you can choose one of 4 captivating minimalist kitchen decor ideas. 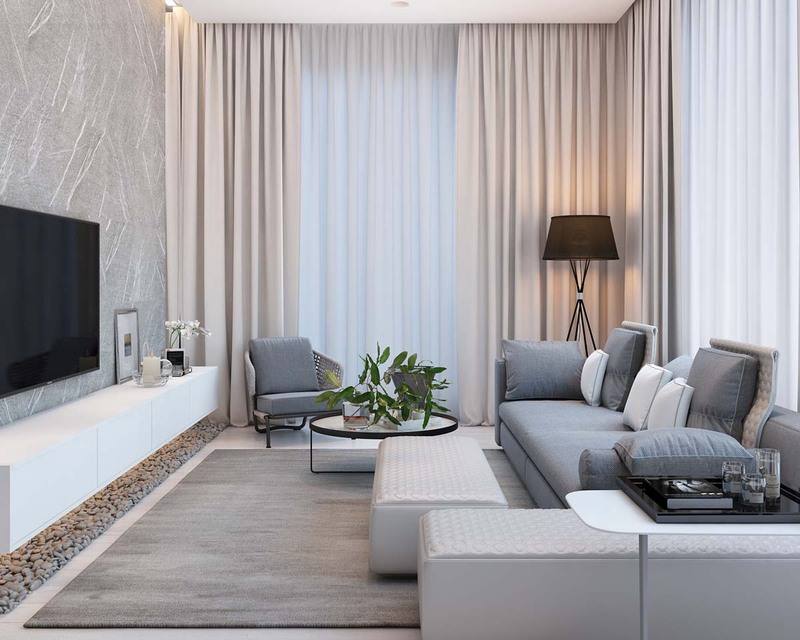 These designs are designed perfectly by utilizing minimalist concept and modern interior in it. Besides that, the designers give you modern tips for kitchen decoration. Each design has a brilliant and amazing appearance that will inspire you a lot. 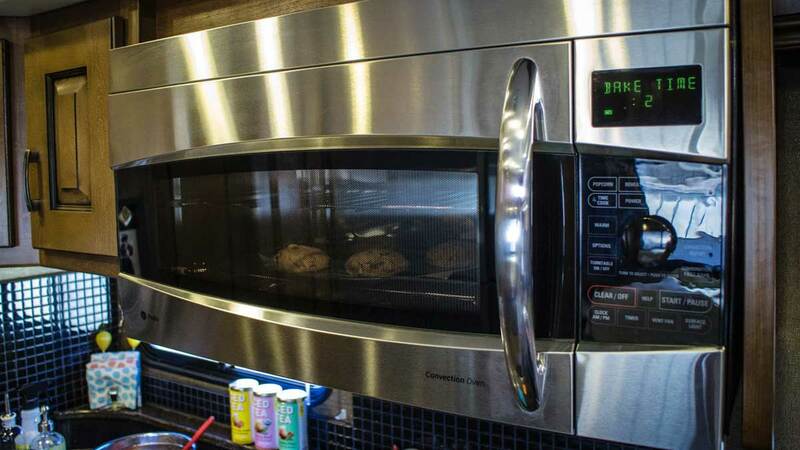 Now, it is your time to create your dreaming kitchen come true. 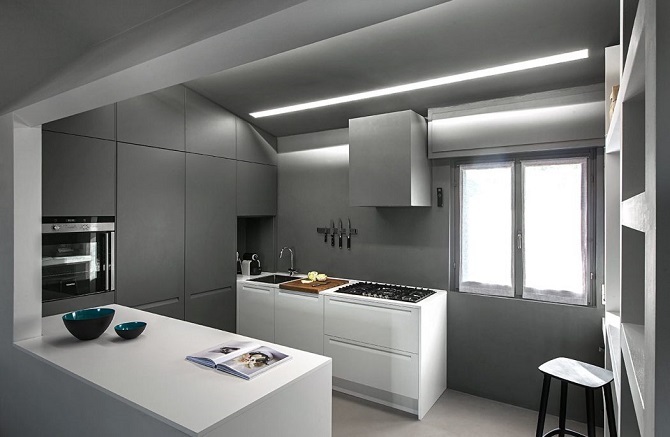 Take a look the 4 designs of a minimalist kitchen below. Here there are! The first kitchen design is brought by Flussocreativo Design Studio. 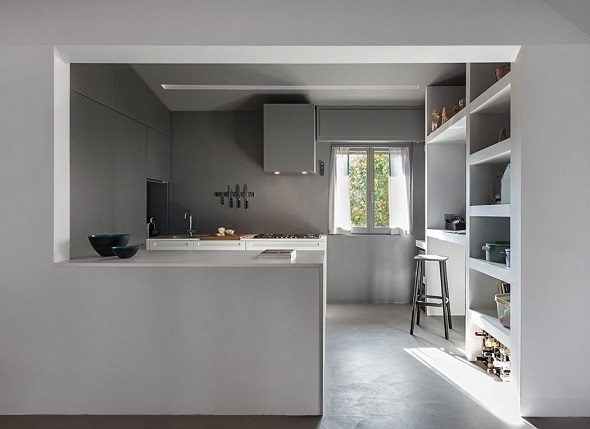 The designer applies dark gray tones as the interior design for kitchen. 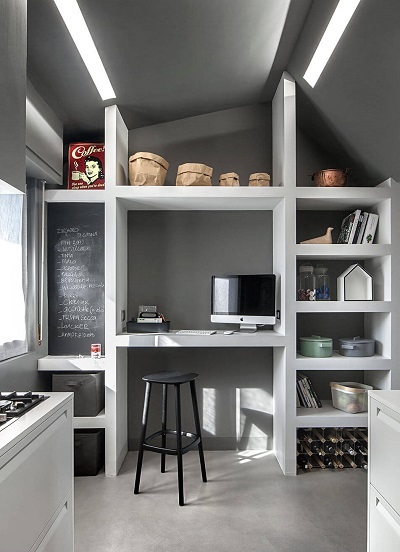 You can see all over the kitchen is filled with dark gray tones whether as the foundation color or the interior. 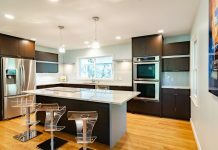 The designer places two white kitchen sets. 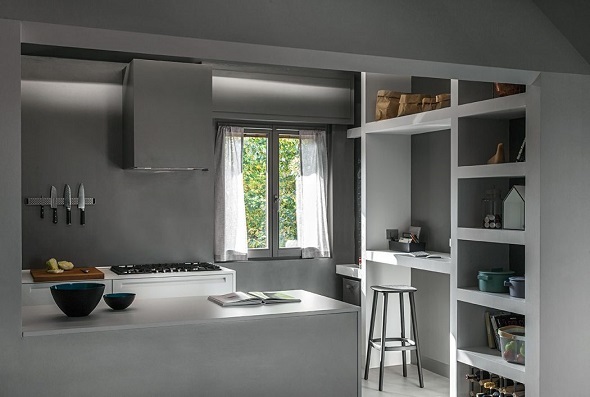 The kitchen sets are matching with the dark gray tones in order to produce a minimalist kitchen appearance. The designer places a multifunctional cabinet that can be used as a display cabinet or storage place. Interestingly, the designer uses the cabinet as the work desk as well. The arrangement of the work desk is perfect because it is placed beside the window. The second design is decorated with a contemporary and minimalist interior. 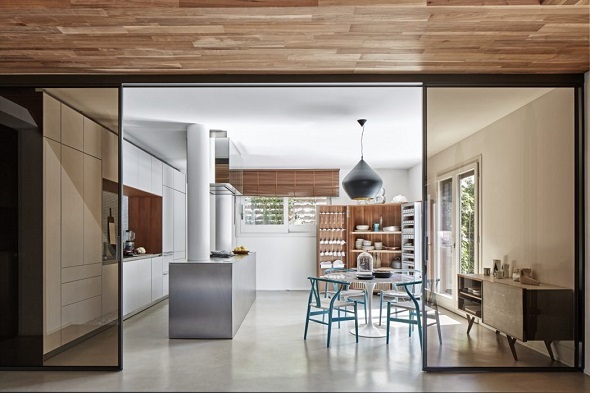 The designer, Christopher Ward Studio, had nothing difficult to decorate a spacious kitchen by applying minimalist kitchen decor ideas in it. 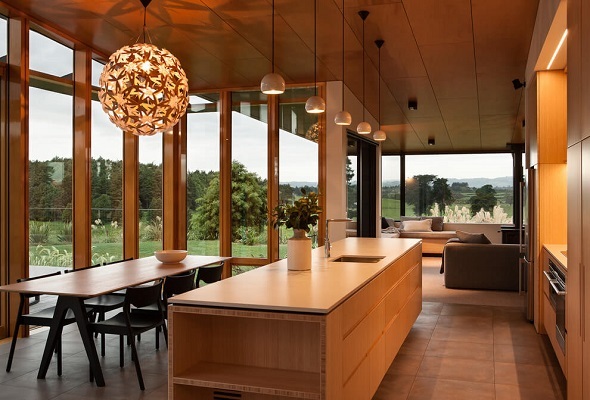 First of all, the designer uses a glass door which is the point of interesting in the kitchen itself. 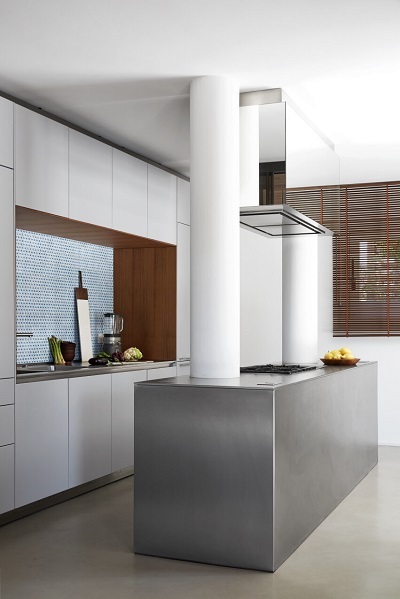 Inside the kitchen, you will see a stainless steel kitchen set which is combined with a bright white as well. The kitchen cabinet itself is painted with white tones in order to make the kitchen wider and cleaner. Do not hesitate to place other ornaments inside the kitchen if you have a spacious space in it. 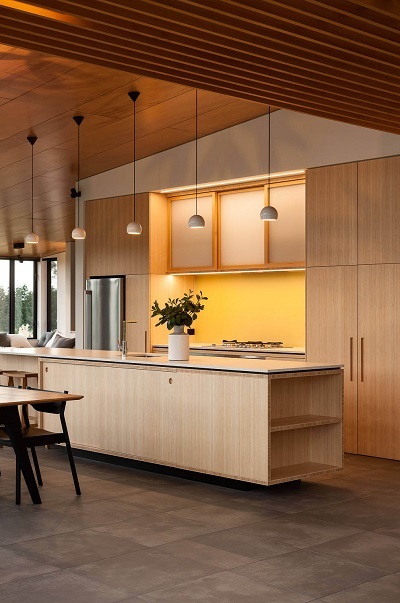 Let us introduce you the third designer, Strachan Group Architects which creates a contemporary kitchen combined with soft wooden accents. The designer chooses a wooden as the materials because of the warm atmosphere that will be produced. The position of the kitchen itself is quite cozy because it is against the window. Interestingly, the design hangs up some of the single pendant lights. Therefore, the appearance of this kitchen looks calm and romantic. This is the last design which is designed by Diego Rodríguez. The designer applies a white captivating interior to beautify a chic kitchen. The kitchen itself is decorated with bright color tones. The use of the color to make the kitchen cleaner and wider. You can place a glass dining table along with sophisticated white bar chairs. Do you like this design? 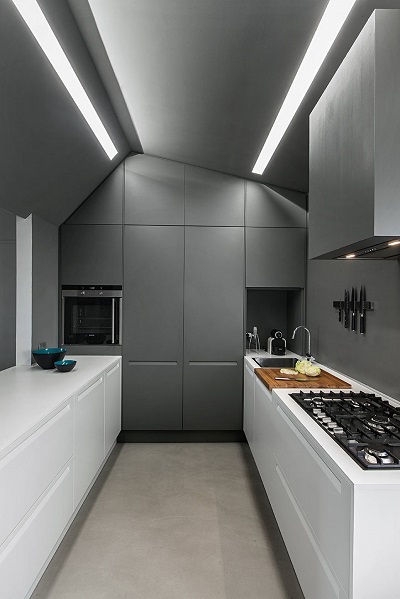 What do you think after seeing these 4 captivating minimalist kitchen decor ideas above? You got many modern tips for kitchen decoration, didn’t you? 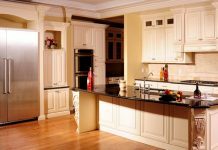 If you want to see other amazing of kitchen designs, just visit and check here. Have a nice day!